iMFdirect: Countries must get their fiscal houses in order by gradually lowering debt to prepare for the next downturn. Russell Investments: The “$20 billion club,” the largest publicly listed corporate defined benefit plans, are markedly de-risking their portfolios. Thought For The Day: One ideal that is universally embraced but seldom mentioned in discussions of fiscal policy is the value of freedom. The International Monetary Fund has offered some generally good, and broadly ignored, advice and encouragement to member countries since the financial crisis a decade ago. Today's installment, published on SA by iMFdirect and quoted immediately above, is the fiscal parallel to a monetary concept which has gained acceptance. Central bankers, at least in the U.S., have attempted to normalize interest rates in an upward direction to give themselves wiggle room to lower them again in an economic downturn. In advanced economies, whose populations are rapidly aging, we project that age-related public spending, such as pensions and healthcare, will consume a quarter of GDP by 2050." Among the items crowding out funding for Medicare and Social Security is interest on the national debt, which this year totals $393 billion and will reach $479 billion in fiscal year 2020. That level of debt equates to 8.7% of GDP for this year - a level higher even than the financial crisis year of 2008 - and 10.1% for next year. For comparison, the 2020 budget allocates $679 billion for Medicare and $418 billion for Medicaid, according to data compiled by The Balance. A budget is, in a sense, a political allocation of citizens' values. It is clear that people have differing political preferences, which is why people prefer this or that leader and this or that party. That is a truism. But there is one ideal that is universally embraced but seldom mentioned in discussions of fiscal policy, and that is the value of freedom. When 10% of a budget is committed to "mandatory spending" such as interest on the debt, there is less scope for "discretionary" items such expenditures on behalf of veterans. In that sense, our freedom is constrained. One difficulty that developed economies grapple with is the multiplicity of definitions of freedom. But I would suggest that upon some reflection most would agree that discipline is what paradoxically enables and structures it. For that reason, iMFdirect is certainly correct that "upgrading fiscal policy" makes it possible to "invest in people's futures." Please share your thoughts in our comments section. 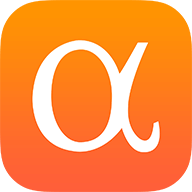 Meanwhile, Seeking Alpha has added podcasts to its repertoire - from me and others; for a weekly "best of" digest, follow SA Multimedia; you can also follow my feed on iTunes.